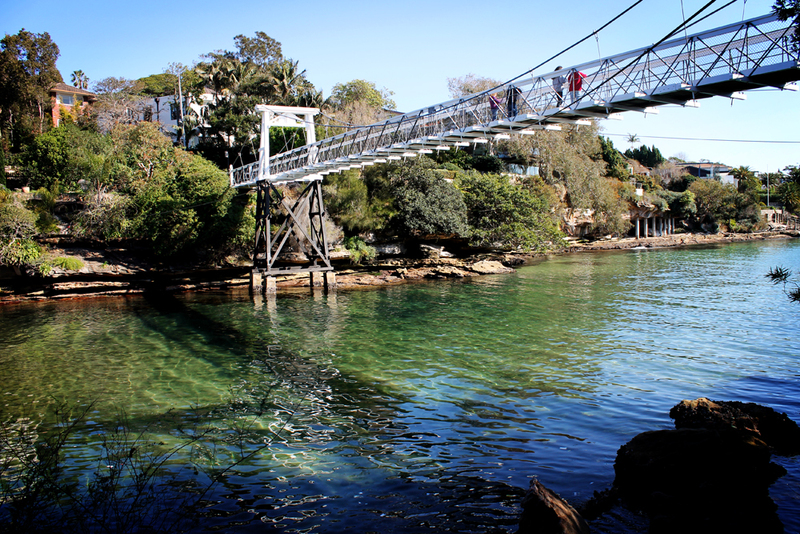 Catch a ferry across the spectacular Sydney Harbour waters to the suburb of Watsons Bay. Upon disembarking you will feel that you have landed at a holiday resort with boats, sandy beaches for sunbaking, swimming or paddle boarding, parklands and seaside restaurants. Walk through streets to see the typical early weatherboard styled houses and period cottages. Stroll along the bay foreshore to view some of the historical coastal defence sites. Go to the tip of the peninsular to view the dominant lighthouse which once guided ships through to the safety of the harbour. Move on to see the rocky cliffs with stunning views of the amazing Pacific Ocean. Enjoy refreshments, snacks and rest before walking along the harbour to admire great views back to the distant Sydney city skyline. Stroll through the tree lined streets and gaze at the expensive large residential properties with their landscaped gardens. Walk over a wooden suspension bridge and view another picturesque bay. Finally you will arrive to look at the historical period styled Vaucluse House and gardens plus café/restaurant, just in time for lunch (at own expense) and rest. From here, it is time to catch a local bus back to the city, and on route you will see the prestigious Sydney suburbs of Rose Bay, Double Bay as well as the “night life” precinct of Kings Cross.